You might remember DxO as the firm behind all those smartphone camera ratings, but the company is branching out into hardware. The DxO ONE with USB Type-C was announced earlier this year, and though an iPhone version with a Lightning port has been available since 2015, it's taken until now for an Android version to arrive. And at $499, it's not cheap. 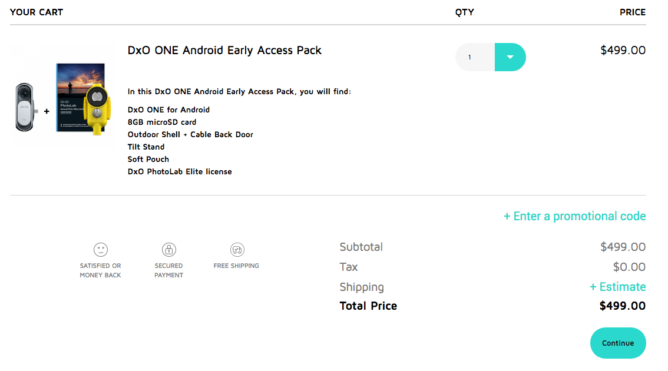 The DxO ONE isn't even officially out; DxO is simply letting users sign up for an 'Early Access pack.' 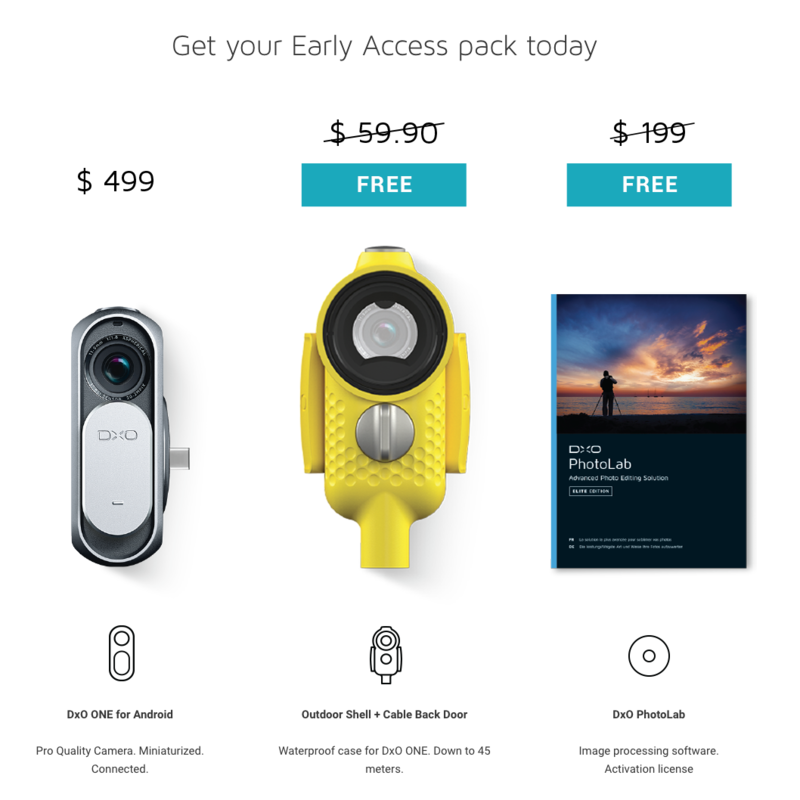 Within this pack, you'll get the DxO ONE itself, as well as a $59.90 case that's waterproof down to 45 meters and $199 DxO PhotoLab image processing software for free. This Android version of the ONE reportedly already has most features that are available in the iOS version, though features like Time-Lapse (with 'exclusive Auto Ramping technology') and Facebook Live support will come later. As a recap, the ONE sports a 20.2MP one-inch CMOS sensor and an f/1.8 aperture. It can shoot in RAW, 'SuperRAW,' and up to 4x slow-motion video. To sign up, DxO requires your email address and phone model. Interestingly, only a few phones appear to be officially supported as of now: the HTC U11, Huawei Mate 9, Huawei P10, LG G9 (I think they meant G6), LG V20, Moto Z, Nexus 5X, Nokia 8, Nubia Z11 mini, Samsung Galaxy A5 (2017), Samsung Galaxy Note8, Samsung Galaxy S8, and Huawei Honor 9. There is an 'Other' option that allows you to put your phone's name in, though any phone that isn't listed there is probably unoptimized for now. After entering that info, you're taken here, where the full contents of your $499 purchase are revealed. Shipping is free, and there's even a 'satisfied or money back' guarantee with a little smiley face. How nice. Hit the source link below if you'd like a DxO ONE of your own.